A close-up view of a blue-tailed damselfly (Ischnura elegans) resting on a species of sedge in a lakeland habitat. 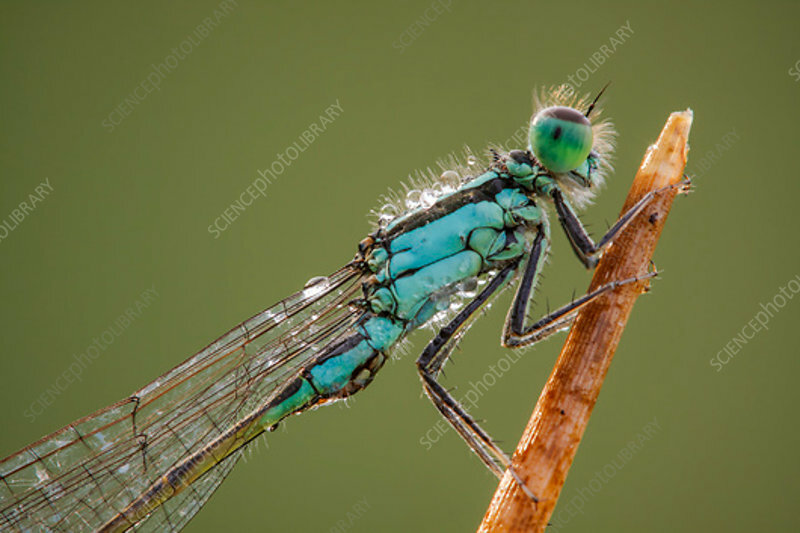 This species of damselfly prefers lowland habitats with slow moving or still waters and can be found across most of Europe. Photographed in the Vendee, France, in August.